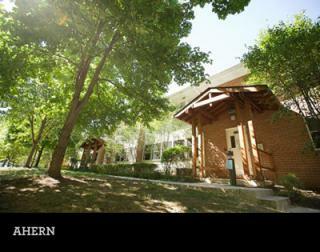 Home to senior resident students and comprised of two main buildings, Ahern North and Ahern South. Apartment-style living with one-bedroom apartments for two students and two-bedroom apartments for four students are available. Laundry rooms are located in the bottom of each Ahern building. Ahern South has a computer lab and Ahern North has a small lounge.